The United Kingdom, France, and Germany were among 107 countries that voted for the proposal during this week’s gathering of the World Health Organization (WHO) in Geneva. Eight countries voted against the resolution and eight abstained, while 58 other countries taking part in the assembly were absent for the vote. Only the United States, Canada, Australia, Paraguay, Guatemala, Micronesia and Papua New Guinea stood with Israel in opposing the motion that was co-sponsored by the Arab Group of States and the Palestinian delegation. “The UN reached new heights of absurdity today,” said UN Watch executive director Hillel Neuer on Tuesday immediately after the vote. “Shame on Britain, France and Germany for encouraging this hijacking of the annual world health assembly, and diverting precious time, money, and resources from global health priorities, in order to wage a political prosecution of Israel, especially when, in reality, anyone who has ever walked into an Israeli hospital or clinic knows that they are providing world-class health care to thousands of Palestinian Arabs, as well as to Syrians fleeing Assad. The U.S. and Canada both took the floor to strongly object to the anti-Israel exercise, UN Watch reports. 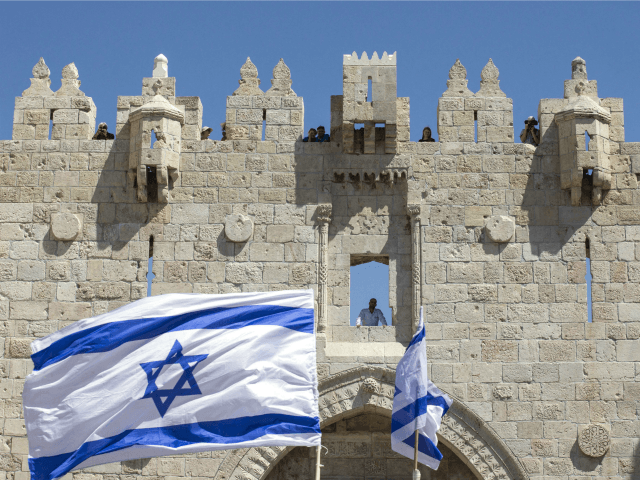 Earlier this month the UN cultural body UNESCO also singled out Israel for condemnation, criticizing it for recent actions on the Temple Mount in Jerusalem and declining to acknowledge Jewish ties to the site.